Unfortunately, it’s getting harder and harder to maintain health care for my dogs. You see, here in Georgia, there is a new “fashion” to burn scented candles in the vet clinics. These candles are being sold as “safe”, but of course, the ingredients are trade secret. They are being sold as pet candles, aromatherapy and they are being sold as a requirement for certain continuing ed certifications. Needless to say, my access to veterinarians is narrowing quickly. These candles have forced me out of my homeopathic vet and limited me to the one vet in driving distance that is basically scent free. While he is good, he is not homeopathic. The only chiropractic/acupuncturist that is safe for me is 1 hour away. The closest emergency clinic for me that is safe is 1 hour away. the one 10 minutes away is not. I truly fear the day when I will have to choose. I fear the day when I will have to risk not being coherent enough to help my animal at the close emergency clinic, or worse, to have to be banished to wait outside. If I had one wish, it would be to have fragrance free veterinary clinics and fragrance free emergency clinics. To have safe access to my choice of veterinarians, to assure my beloved pets get the best care possible, that would be my one wish. I can give up the restaurants, the movies, the social life. But the thought that one day, I may have to accept that I can no longer adequately access veterinary care, and therefore no longer have a dog, is a difficult thing to face. So if I had one wish, it would be that. This entry was posted in Accessibility, Chemicals, Disability, Environmental Health, Fragrance, Health Care and tagged air quality, barriers, dogs, fragrance-free, health, MCS, pet care, pets, veterinarians, veterinary clinic. Bookmark the permalink. Yikes, hasn’t reached my vet here (Kingston, ON) but dread the day it does. Already cannot go to one vet, who is actually great, because she is so covered in perfume. We MCS types are the canaries and should be useful and valued – if we react, then use it as a warning to others, not something to dismiss and ignore. I have such a limited life, I would be very a grieved to lose my pets because I am not able to offer them health care. Still, I think they may be healthier because of my chemical free policy – no scented products, no chemically based cleaning supplies, no scented litter, no GMO foods etc. 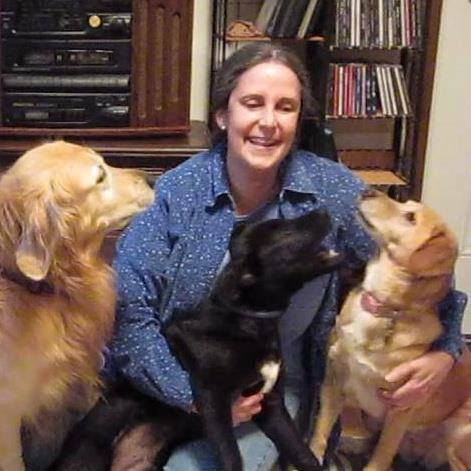 Hang in there Leah, so glad you still have your three pups. People have so little understanding of what we need to be healthy. It’s certainly not these toxic chemicals in the air we have to breathe(and everywhere else). It’s completely possible to clean without toxics, and to have proper ventilation for the rest of it. Many vets use fabric softeners on the bedding too, adding yet another layer of toxic residues. Poor animals are far more susceptible than we are. I had to give up my dog because there was no safe place to walk her anymore. Asphalt from roadwork and laundry exhaust from the apartment buildings nearby made the air too toxic for me. I was heartbroken, but couldn’t give her what she needed. I eventually lost my cats too, because of the MCS and systemic discrimination and accessibility issues. It was also nearly impossible to find unscented kitty litter, as it’s all run through the same equipment the scented stuff goes through, and it gets contaminated. Just when we need and can benefit from the company of fur-kids, we are too often prevented from being able to take good care of them, meaning we are left totally isolated. That’s what they do to prisoners… yet we have committed no crimes… The crimes are being committed by those who are adding toxic chemicals to all these products and making people believe they are safe to use. Read the fine print -“use in well ventilated areas only”. Why not just ventilate well with fresh clean air, instead of adding toxic chemicals to it? Suggest writing to the national vetinarymedicine group to talk about the deleterious effects of fragranced products on human lung function (causes moderate degree of lung capacity loss in healthy people). Many hospitals have fragrance free policies now and the association might advise their clinics that outcomes in treatments might improve along with the staff working environment. I have tears. Beautifully written and so touching. I couldn’t agree more, Leah. I wear a breathing mask to accompany my pets to the vet’s then I wash everything and myself thoroughly when I get home anyway, haven’t noticed any candles yet but the disinfectants etc… send my head into a tornado, then I blank out, happens to me in hospitals here too. I feel the same about my family (especially my girls) . The last time I had to take my daughter to emergencies she ‘fainted’, standing beside me at the reception desk while I was trying to give the information. they asked for (with my breathing mask of course), and I had to try to catch her myself, no one ran to help as she went down and I was crying ‘my daughter, my daughter, she’s fainting, please help! Things really NEED TO CHANGE! About the aromatherapy with candles in the vets, this is something that seems to be like a ‘marketing’ scheme. Aromatherapy, like any other medicine, should only be applied by a ‘qualified’ aromatherapist (qualification is not the same as recieving a diploma that says you have studied so many hours and know how to ‘use their products’) there is SO MUCH MORE to be taken in consideration and ‘treatment’ should be personalized. This happens everywhere, in medicine too, generalizing is good for ‘business’ but not for ‘patients’. This can be even worse as the ‘purity’ of the EO’s used could be questionable also. Looks like just more ‘toxic tresspassing’, laundered to make believe it’s ‘good’ or ‘natural’. It may be that as veteranary doctors they have studied and qualified to use aromatherapy in their clinics but then they would be aware that using aromatherapy ‘generically’ (I hope this word exists and it’s not something I’ve made up) or ‘in general’, could be ‘contra-indicated’ for some of their clients and especially their pets. There is also a big problem there with ‘cross-sensitization’, aromatherapy and synthetic chemicals (disinfectants, pesticides, fungicides, cleaning products and other ‘toxic chemicals’) don’t mix well! Sadly ‘safety issues’ are purposely being ‘overlooked’ : ( now everything will be labled ‘natural’ and therefore safe : ( it’s a mad rat race! I had to find a new vet because of the fragrance emitting devices (FEDs). They would turn them off on the day of our appointment and put us in a different room but it was to no avail: I’d come home sick and have artificially scented stuff all over me. When I had my boys (dwarf rabbits) desexed, I was so worried they’d pick up the scent on their fur; then I’d not be able to take care of them indoors where they could be kept warm. Lucky for us the vet made sure they were kept in another area. But after this experience I’ve now located a different vet where there are no FEDs. Problem is the new vet is not a big surgery, they’re just a small clinic so if something goes really wrong with any of my animals, I’ll have to go back to the other place. People know. They see us NOT able to access places but they just haven’t woken up–yet! I understand they are afraid and don’t want to admit that ‘what they have seen has happened to me can happen to them too’, I need to give them their time to accept it all. If there were regulations preventing industry from using toxic chemicals in everyday products, people wouldn’t have to try to “accommodate” us by searching out safe, non-toxic products. We live in a messed up world, and it’s going to take some healthy people to realize this and help un-mess and detoxify the world.